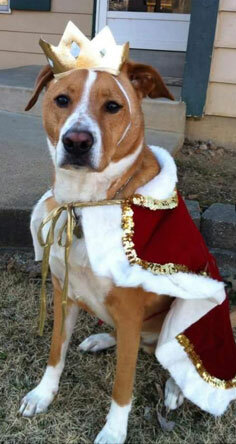 It is a prestigious and rare honor to be nominated for the APA’s Canine King and Queen at our annual Canine Carnival. 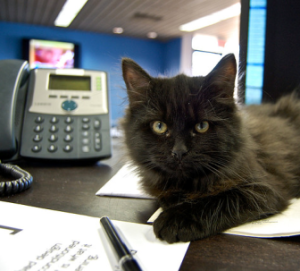 And it’s a tough job to do the nominating with 2,500+ adoptions happening at our Adoption Center each year. Not to mention we’ve been around for 94 years. Do the math…that’s a lot of dogs to pick from. Voting is simple and it will also help homeless pets at the Adoption Center. One vote = $1. You can vote for the nominees HERE. Scary sounds and flashes of light send some animals bolting out the door or over a fence on the 4th of July. The APA Adoption Center sees an influx of stray animals after the holiday. 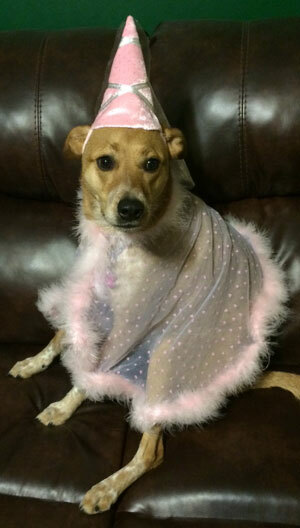 Keep your furry friends safe during the celebrations with these tips. Leave your dog at home when you attend celebrations with fireworks. Don’t expose your pet to the crackling noises and shrieking light displays- even pets who are normally calm tend to react differently to the commotion of the 4th. Never leave your pet unattended outdoors when they go to use the bathroom. Even pets who typically stay in the yard are more prone to jumping fences to escape the frightening sounds. Furthermore, do not chain up your pet outside. A frightened animal will try to run, which can lead to entanglement, injury, or even death. Be sure your pet is wearing current identification. If your pet is microchipped, check that your address and phone number are up-to-date, and the same goes for the ID tags they wear on their collars. Some people find soft music or a television helps drown out the festivities and gives their pets peace. Use caution when allowing your pets outside the next day. The powder discharged by fireworks can be toxic, so it’s best to avoid areas where they might come into contact with the residue. 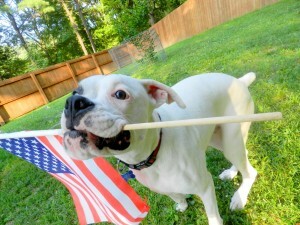 Follow these tips, and your pets will thank you for giving them a “safe and sane” 4th of July. 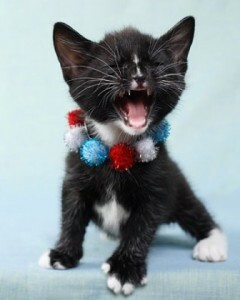 Happy Independence Day from your friends at the APA Adoption Center! This time of year, the APA receives a lot of calls and a lot of animals due to allergies. Helping keep an animal with its family is a top priority for us, so we want to help allergy suffers know that, if the allergies are not life-threatening, there are options for living a happy, healthy life with your pet. 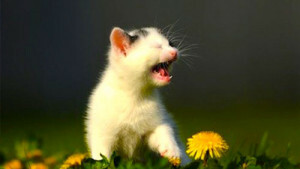 Here are some basic tips for cohabitating with wheeze and sneeze-inducing furry friends. 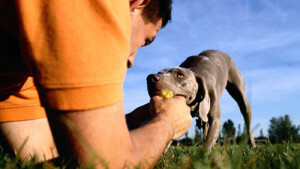 Are you allergic to your pet’s dander or is it something else? Get tested by a doctor to know what is causing your symptoms. Your pet might be carrying another allergen into the house on his coat. Pollen, mold and other irritants are everywhere, especially at this time of the year. If it turns out that kitty’s outdoor adventures have brought home more than you bargained for, limit her time outside. Wipe those fur monsters down with a damp cloth after being outside. You’ve seen how much pollen can accumulate on your car in the spring; your pet’s coat gathers pollen and other allergens, too. Wiping them off helps decrease other potential trouble makers in the air as well. You can also bathe your pet regularly. Giving him or her the full on spa treatment helps get rid of anything you missed with the cloth. Avoid washing any pet more than once a week, and use a mild, conditioning cleanser to avoid drying out their skin. Frequent fur brushing at this time of the year will also decrease the amount of dander buildup your pet is carrying. Choose a non-allergic member of the family for this task, if possible. Otherwise, many groomers are happy to help your pet shed the excess fluff. Minimize household allergens all together. Dust, vacuum, sweep and/or mop to keep your home tidy and your allergies at bay. Don’t allow pets to sleep in your bed with you. Keep them off the couch and other furniture, if you notice the fur buildup is bothersome. Buy bedding for your pets that is easy to clean and doesn’t gather fur. Kuranda beds are great for that purpose; they wipe down easily and dry quickly. If you know your allergies are particularly bad when the magnolia trees begin to bloom, plan accordingly. Occasionally taking an over-the-counter antihistamine can treat your symptoms and give your peace of mind in the warm weather months. As part of our mission of bringing people and pets together, the APA also strives to keep people and pets together. When both furry and non-furry members of the household can live together in harmony, we all breathe a little easier.